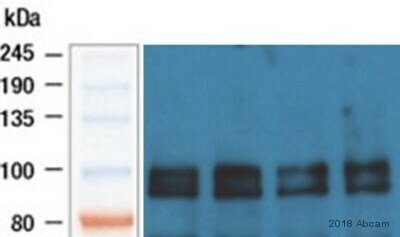 I have a question regarding your Nrf2 antibody catalog number, 2178-1 and lot number, YI110703CSR. 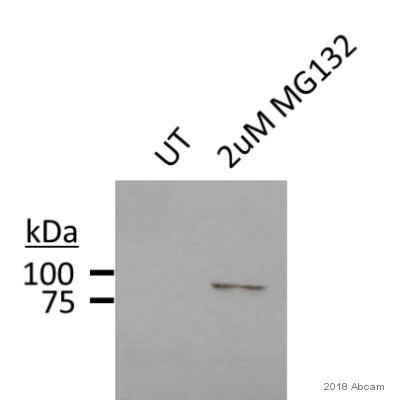 Using the antibody in a western blot (mouse lung lysate), I get a band around the size of 30 kDa, and the band is very clear. No other bands appear. I have repeated the western and I see the same result. Has this been seen by others? I should see a band of 100 kDa, correct? Thank you for contacting us. 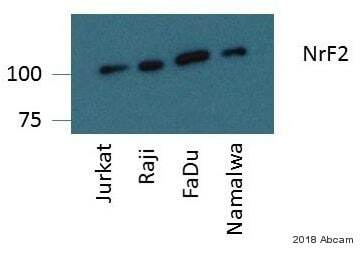 I am sorry to hear that this antibody is not providing satisfactory results. We have not had a band reported to use of this size, the predicted MW is around 68 kD but we saw the band a bit higher at 100 kD. 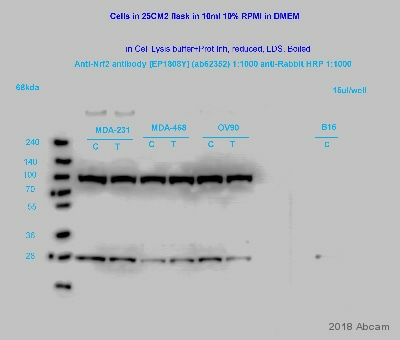 We do not have testing data to spoort the use of this antibody in mouse however, so I am wondering if this antibody is reacting non-specifically in mouse samples. We do have ab31162 and ab92946 which are tested and guaranteed to work in mouse, these may be better antibodies for you to work with. Please let me know if I can be of further assistance.